What is a Community Energy Reliability Center (CERC)? A Community Energy Reliability Center (CERC) is a modern and eloquent solution to the specific energy challenges of California. California’s utilities are working hard to meet the goal of providing a greater portion of their power generation through renewable and sustainable means such as solar and wind power. Since these power supplies are by nature intermittent and sometimes unpredictable, our modern electric grid needs backup energy to power the system when the sun is not shining and/or the wind is not blowing. The CERC is intended to provide that backup, keeping our grid safe and reliable while enabling greater and greater portions of our power to come from renewable sources. CERCs may utilize a number of state-of-the-art technologies best suited to the specific location and the ultimate needs of the local utility and its customers. CERCs have a small footprint that can be blended into their surroundings with a variety of architectural treatments. W Power’s CERC concept can be designed to look like a warehouse, a distribution center, or even a high end office building. They blend very nicely with their surroundings. These projects will provide an economic boost for the local community by creating union construction jobs with millions of dollars in payroll. CERCs will pay hundreds of thousands of dollars in annual property taxes which will help fund community programs and priorities. In addition to creating jobs and generating new tax revenue, local businesses and suppliers will benefit from the purchase of construction materials, supplies and services bringing substantial economic growth to the region as a result of a “Buy Local/Hire Local” program. How do CERCs address California’s Climate Change Goals? 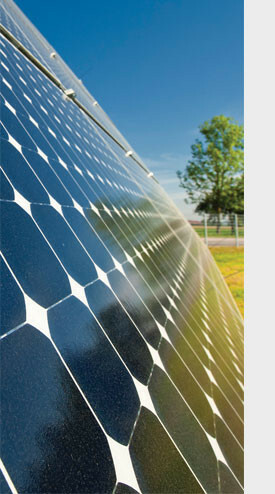 The CERC technology will make significant contributions to California’s efforts to reduce greenhouse gases (GHG) to 1990 levels by 2020 By enabling the maximum use of renewable resources (such as wind and solar), the CERC provides an exciting opportunity to help California meet its climate change goals. How can we maximize the amount of renewable generation that will be used to replace the energy lost from the shutdown of San Onofre Nuclear Generating Station (SONGS)? This is an extremely complex question that the numerous state agencies with a stake in managing our energy grid are working on. The loss of SONGs impacted both energy availability and local system reliability. SONGS handled a great deal of the ongoing power needs of the region with little backup necessary. The utilities are working to replace this power with as much renewable power as possible, but as mentioned, wind and solar power don’t always provide consistent power. The CERC solution allows a greater share of the SONGS replacement power to be from renewable sources, by providing a backup system when wind and solar power are not generating enough energy. When properly located, CERCs provide for our grid reliability needs which are paramount to our quality of life and the health of our economy, while mitigating the community impacts of large, always-on gas plants. What do CERCs look like? Specific projects are designed to blend in with their surroundings. This is one of the exciting aspects of a CERC. The facility can be built with a number of different architectural treatments, often to reflect nearby buildings. It can look like a warehouse, a modern tilt up building, a barn, an office, or just about any structure. Working closely with local planning departments, these projects will be designed to blend nicely into host communities.